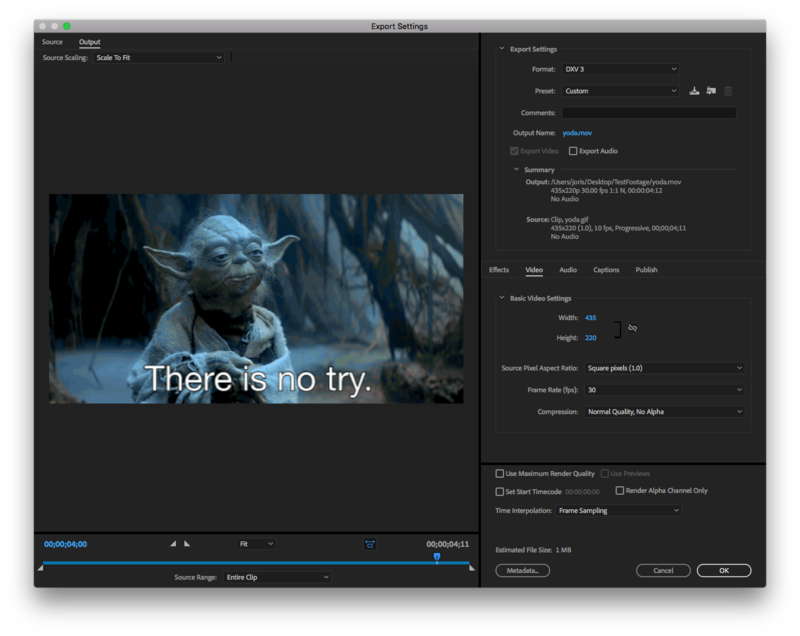 TL;DR Download and install the latest version of Resolume or Alley and you can export to DXV3 directly from After Effects, Media Encoder and Premiere. So, Adobe dropped the bomb. On their latest update, they removed support for 3rd party Quicktime codecs. This also includes our DXV codec, so it is no longer possible to export DXV files via Quicktime. We can't say that we blame them. Being able to export to .mov files using a 3rd party codec was awesome in 2008. But Quicktime is 32 bit and hopelessly outdated in 2018. So, good riddance to bad rubbish. Out with the old, in with the new. Hold up. Does this mean we won't be able to use DXV anymore? At all? Like ever? Of course not. Let's clear a few things up. First of all, Resolume doesn't need Quicktime to play back DXV files. It's our own codec, so you will always be able to play DXV files in Resolume. Always and forever. Second, you don't need Quicktime to encode DXV files in a .mov container. Of course, if you haven't embraced the Matrix and aren't living your life from inside a compiler, things aren't so easy. But it's very doable to create .mov containers with a DXV codec without having Quicktime installed. So, really, when you get right down to it, it's not the end of the world. Hold on, Resolume. Not so fast. I've just updated my Adobe software and I sure as heck can't make DXVs anymore. This is very much the end of the world. Don't worry, fam. We got you. We've created exporter plugins for the Adobe family. These will let you create DXV encoded .movs straight from AE, Premiere and Media Encoder. Read all about how they work.